Leigh Bardugo returns to the Grishaverse with a tale rife with political intrigue and internal struggle. 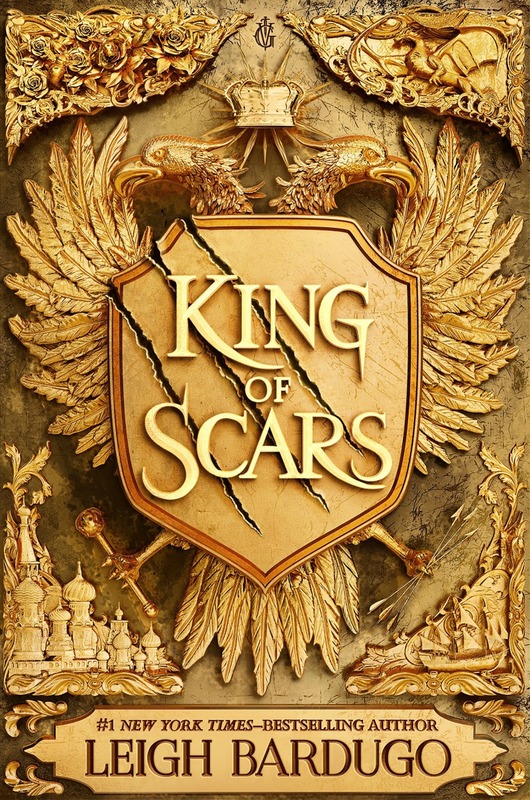 Weaving together the events of both the Shadow & Bone trilogy and the Six of Crows duology, KING OF SCARS centers on Ravka’s King Nikolai struggling to leash the monster within while keeping his kingdom in order. Nikolai and the Grisha Triumvirate devise a plan they hope will assuage both commoners and nobility, as well as rid Nikolai of what lurks within—dark remnants from the Darkling. The monster threatens the crown and the people each time it emerges at night, and despite the Triumverate’s best efforts, its power strengthens. Meanwhile, still-grieving Nina heeds a call from within, traveling to Fjerda where she uncovers a horrifying secret. She must put herself in danger, and use her new abilities to free those who can no longer fight for themselves. Slow-burning romance story lines are woven through the narrative, but it felt like the focus was primarily on world building and the character’s internal struggles—be it grief or coming to terms with the cards they’ve been dealt. I absolutely love Leigh Bardugo and her books, but sadly, this one felt short of my expectations. It felt slow and I didn’t feel invested in the story despite knowing and loving the characters. The narrative needed propulsion, to be punctuated by events that would speed up the pace and draw the reader deeper into the story. I felt like it didn’t get going for me until after Chapter 25 or so, and the end just didn’t sit right with me either. A bright spot for me was getting to better know Zoya, who is incredibly interesting and layered as a character. Overall, I hate that I didn’t love this book, especially given Leigh’s impressive prowess as a writer. I just wanted more. I hope the second book in the duology will blow us away.